Everyone give a warm welcome to Cyndi, Sandy and Denise! Cyndi Whitehead, Sandy Haynes, and Denise Vaudrin during lunch on the Boston 3-Day. How did they remember their first day? “Ouch!” They recommend a lot of training to prepare walkers for the long days. 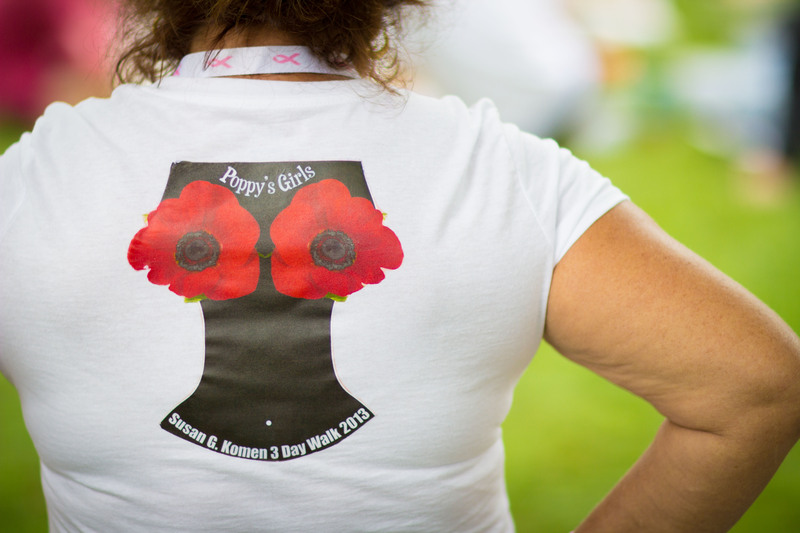 They also had some great ideas for fundraising, as they had a local vineyard hold a wine tasting, complete with a relabeled wine “Poppy’s Girls” (named after the sisters’ father). It sounded like a great evening with everyone happy and interested in breast cancer research and finding a cure. It’s wonderful to hear that Cyndi has been doing well for 30 years! 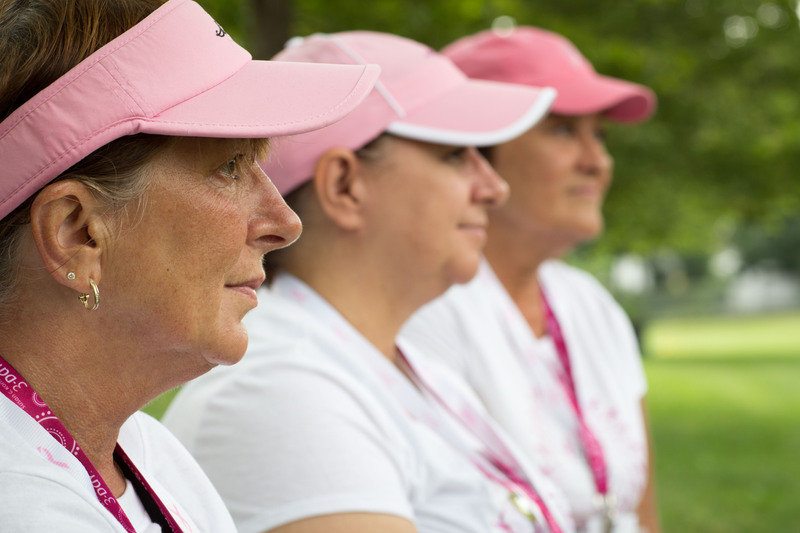 Welcome to your first Komen 3-Day, Cyndi, Sandy, and Denise!